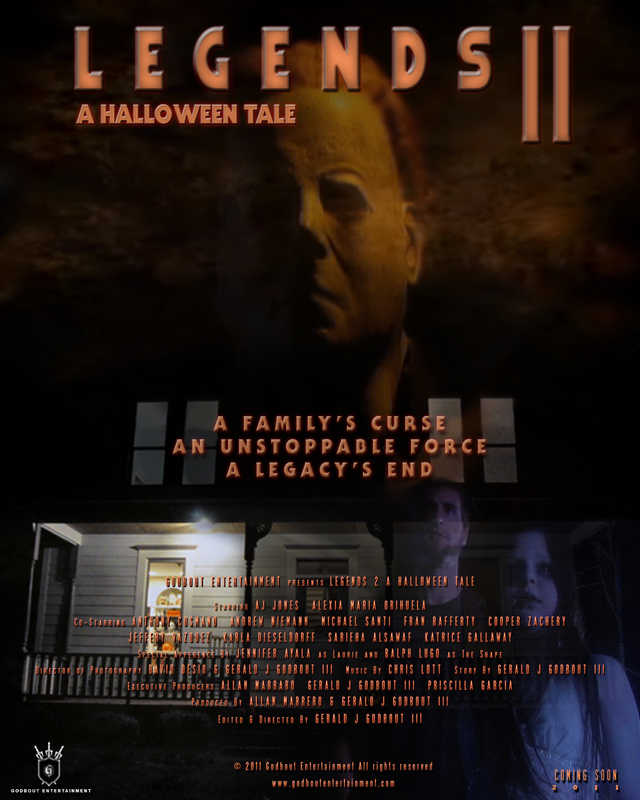 Emmy Award Winner* Gerald J. Godbout III and Godbout Entertainment are proud to announce the The Premiere of their latest production a tribute film to Halloween called Legends 2: A Halloween Tale. John Tate has been living as John Freeling in Orlando Fl, for the past 10 years. As Halloween approaches John begins to dream of his half sister Jamie, she comes to him warning him that their uncle the boogieman has re-awakened and will kill again. She tells him that together they can put an end to his rage and finally break their families curse. Meanwhile Haddonfield has gotten an upgrade by a huge construction company and has been bringing families back into its fold. New partner Greg Trent has a lot to prove and has gotten his friends together for the grand opening to the new Haddonfield. In the end John finds himself with a choice, run or go back to Haddonfield and face the boogieman one last time.